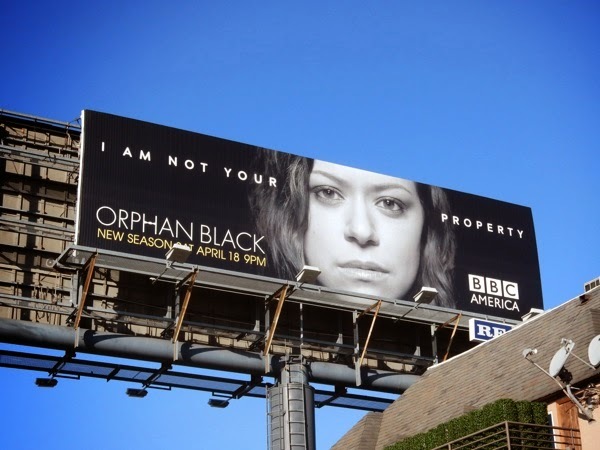 Orphan Black fans rejoice, your favourite 'Clone club' is back for a fantastic third season. 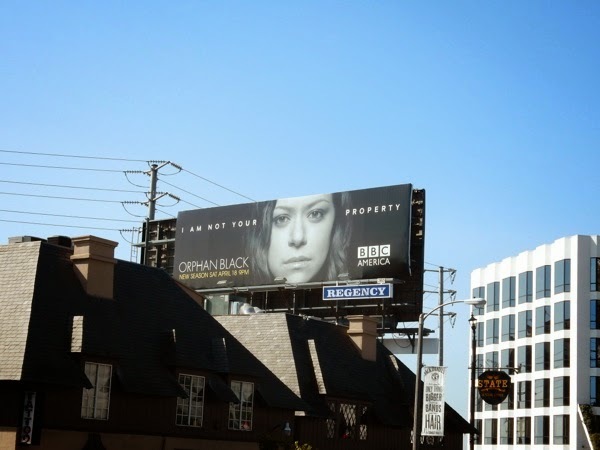 Following two seasons of Tatiana Maslany bringing the many faces of 'Sarah Manning' and her clone 'sisters', this time around expect to be seeing more of Ari Millen, who will be playing her male clone counterpart developed as part of the military's Project CASTOR. 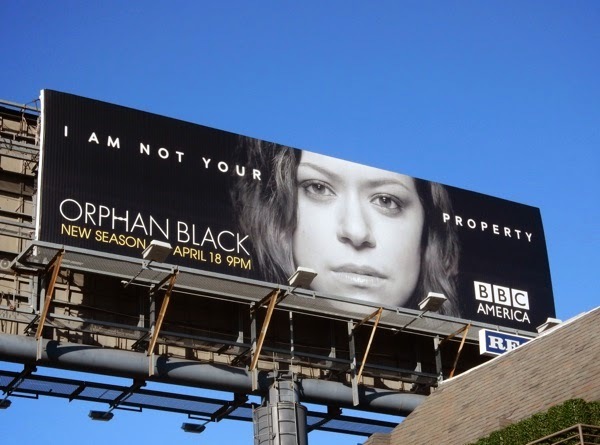 But don't despair, we doubt that will mean we'll see less of Sarah, 'Cosima' (as long as she survives), 'Alison' and her wonderfully crazy twin clone, 'Helena'. 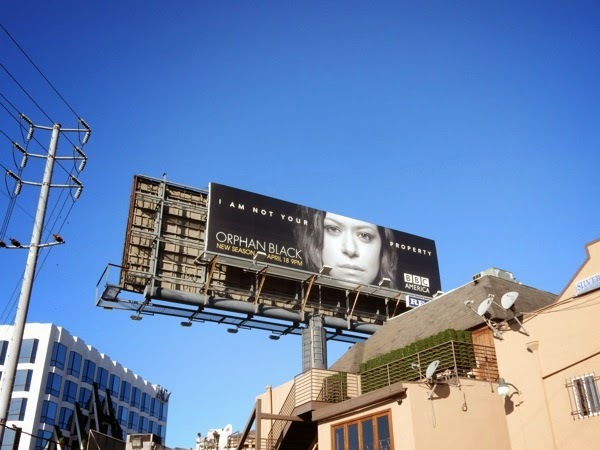 This season three billboard was snapped along the Sunset Strip in West Hollywood on March 24, 2015, and by the looks of things despite their DNA being part of a genetic patent, that doesn't mean that these clones want to be anyone's property. Get ready for more shocking twists, dark secrets, ethical and moral dilemmas, and best of all throughly entertaining television viewing.